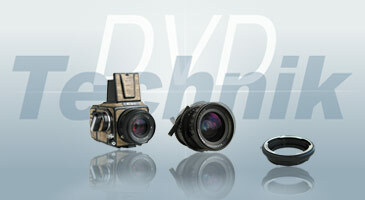 Military Leicas have been a source of fascination from the beginning of collecting interest in the cameras. There has been much misunderstanding and, since military cameras command a premium, much misrepresentation. The majority of cameras manufactured at Wetzlar during the war were not intend for any particular branch of the armed forces. Civilian production did not cease in Germany until the war was halfway through, unlike Britain where it generally ended in 1940. After 1942 the whole output went to government agencies. It was about this time too that, due to shortages of chromium, cameras were finished in grey paint instead. The paint had no military significance whatever. 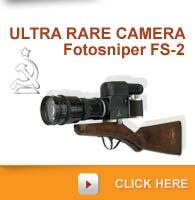 It seems that most cameras intended for official use were sent to a government purchasing agency in Berlin. Any additional engraving was done after the cameras were handed over, probably by the service concerned. The exception was the Luftwafe who were major users of Leicas cameras and bought at least a proportion of them direct from the factory. Camera is in fully working order. 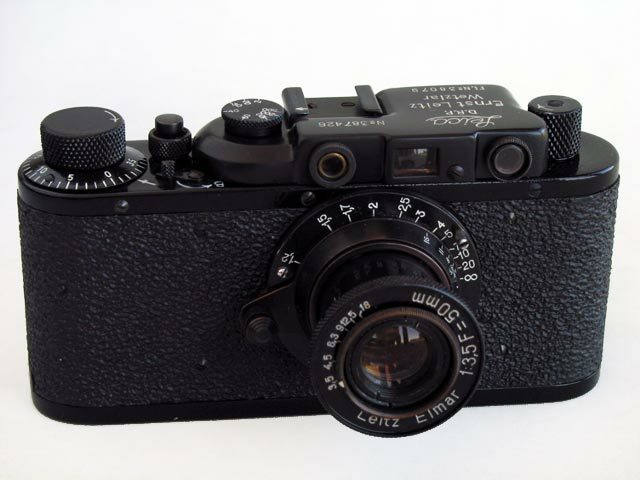 This camera copy Leica made from Russian cameras FED and Zorki.